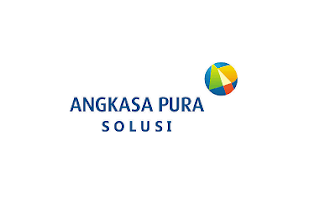 Informasi Lowongan Kerja Terbaru PT Angkasa Pura Retail System Administration - PT Angkasa Pura I (Persero) Angkasa Pura here in after referred Airports determined to realize the company's world-class professionals. Angkasa Pura Airports sure can do the best to provide security services, safety, and comfort of an international standard for customers. Angkasa Pura Airports history as the pioneer of airport commercial exploitation in Indonesia stems from the state visit of the President to the United States to meet with President John F Kennedy. Upon arrival in the country, the President reiterated his desire to the Minister of Transportation and Public Works Minister in order to airfields in Indonesia can be equivalent to the airfield in developed countries. Shortly thereafter, on November 15, 1962 was published the Government Regulation (PP) No. 33 Year 1962 on the Establishment of the State Enterprise (PN) Angkasa Pura Kemayoran. The main task is to manage and exploit the Port Kemayoran in Jakarta when it is the only international airport which serves flights to and from abroad in addition to domestic flights. SAP Backup Operator Schedule, run and monitor backup jobs of the SAP Database and any required operating system level files. Candidate must possess at least a Diploma, Bachelor’s Degree, Master’s Degree / Post Graduate Degree, Computer Science/Information Technology, Finance/Accountancy/Banking or equivalent. Required skill(s): database administration, system administration and networking, Analysis Services, SAP. Preferably Supervisor / Coordinators specializing in IT/Computer – Network/System/Database Admin or equivalent.